Sports card content was one of the first Real World texts that constantly engaged my students. Numerically, sports cards were the most represented text possibility since more kids were involved with sports and trading cards than with other materials. These cards were of vital interest to my kids -- the stuff of conversations, negotiation, and play. When I really examined their sports cards, the many varied literacies these youngsters practiced daily simply blew me away! What literacy areas? I could see examples of numeracy, cultural expertise, information literacy, spatial comprehension, and prediction. To start! What if I could I engage these everyday sports card literacies they practiced within our classroom to help build connections to the related literacies of School World? what equipment they used during play. We assembled small sets of sports cards so everyone had six apiece. For starters! We began simply. We sat in groups and made lists. This became a competitive activity right from the start. Each group wanted to have the biggest list. Or something unique on their list that the other groups hadn’t considered. Meanwhile great things were happening all at once! Literacies galore! Learning strategies were acquired and tested and modified! The group task encouraged independent reading for information in cross-curricular activity. Some of the information they collected wasn’t even printed in words on the cards! Not only was this perfect educational content for the classroom and the home school but a simple sports card game launches the whole teaching/learning experience into an infinite world of subject integration. What happens during this sports card activity? 1) Students use these kid-sized bits of pasteboard with ease and bring information from outdoor play into this focused task right along with the cards. 4) to produce a written result. 5) They focus on an educational activity the teacher sets but because they are relaxed and having some fun with familiar objects, their anxiety levels are virtually non-existent. What a content teaching advantage! What educational opportunity! There can only be one success after another here! Possible side effects include apathy and absenteeism dropping like stones. Kids can arrive early on following days with more information they have discovered by – yes! – studying sports card content. And on their own time as homework! Try this teaching challenge! Grab yourself a few sports cards. How many different kinds of information you can find? Can you find a dozen or more kinds of information? Can you find non-verbal contents? Use Sports Card content to practice skills, introduce topics, or broaden applications in every single subject area. Can you list one skill that a sports card might introduce? Or one question per subject area that a trading card might answer? Teaching Art and Design from Sports Cards! Teaching Consumer Studies from Sports Cards! Teaching Family Studies from Sports Cards! Teaching Geography from Sports Cards! Teaching History from Sports Cards! Teaching Industrial Arts from Sports Cards! Tips on Language Arts from Sports Cards! Tips for Character Study with Sports Cards! 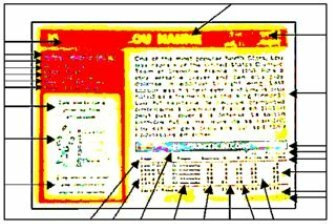 Teaching Speed-Reading from Sports Cards! 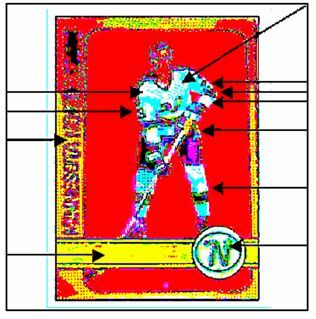 Teaching Mathematics from Sports Cards! Teaching Music from Sports Cards! Teaching Physical and Health Education from Sports Cards! Teaching Science from Sports Cards! Teaching Sociology and Community Studies from Sports Cards! Have A Great Sports Card Teaching Tip? What's your favorite use of sports cards in the classroom? Share your tip about sports card teaching in your subject specialty! Enter the heading for your sports card teaching tip. Entering your story is easy to do. Just type away here! Click on the links below to see some great Sports Card teaching tips -- all written by other visitors to this page. Return from Teaching from Sports Card content to Real World Content Advantage home page.